The year 2018 started out with concerning news for all users of technology, but especially so for the embedded developer tasked with securing their designs. If the information about new attack methods versus high end processing units is any indication of today’s threat landscape, there is a long and uphill run in store. 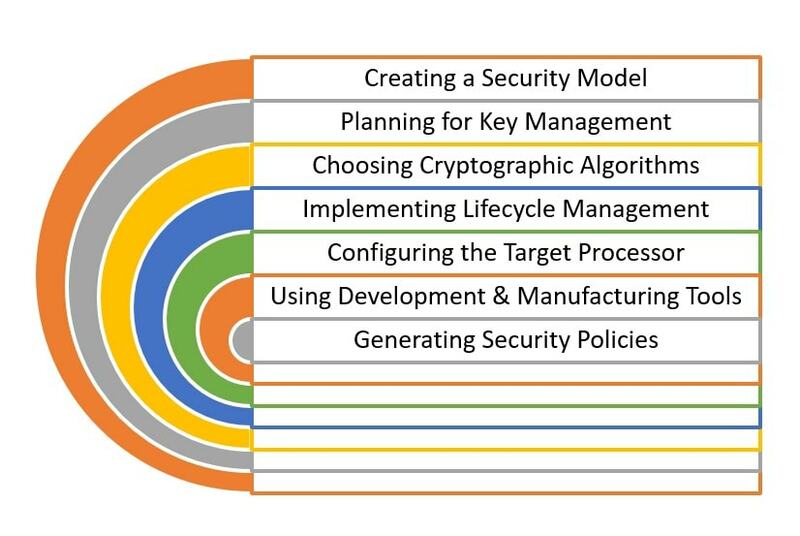 To address security needs of today’s embedded designs, it takes more than the knowledge of hardware and software. There are other skills and methods needed to ensure secure development, manufacturing and deployment of devices. The reality is that there is no simple answer, turnkey solution or magic spell to fix the end-to-end security flaws already built into our embedded world. There should be no doubt that in the present age, the responsibility of secure embedded design does not rest solely on the shoulders of just one entity, but on all who are involved in the creation of the end devices. All players mentioned below must contribute to the end-to-end security of devices in IoT applications. A secure boot design protects against a wide range of attack scenarios. Whether it be focused attacks as described here, or remote attacks against firmware updates, or even a future scenario that we are not yet aware. The act of authenticating application code before allowing it to run is an essential component of end-to-end security. The NXP IoT and Security Solutions team has been building up resources including webinars, whitepapers and hands-on courses for users of the broadly deployed Kinetis MCU product line to address these topics. Please follow the links or see the resources section to learn more. In addition, the SLN-POS-RDR secure card reader solution delivers a secure boot implementation built into the software package, along with the hardware and certification collateral. Are you already implementing a secure boot into your designs today? If not, do you plan to retrofit this essential feature into your deployed devices? Will you work to achieve a secure boot in your next design? Please comment and answer these questions on my blog.